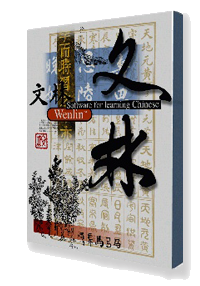 One of my favorite programs, Wenlin Software for Learning Chinese, is having a special sale. Normally Wenlin costs US$99. But through December 31, 2015, Wenlin is available for just US$49 for the version you can download directly to your computer (Windows or Mac OS). Edit → Make Transformed Copy → Pinyin transcription. But Wenlin is filled with all sorts of other great features as well. And it comes with the electronic edition of the terrific ABC English-Chinese/Chinese-English Dictionary built in. I love this program and use it on a near-daily basis, so I can recommend it highly. If you’re looking for a Christmas gift for someone studying Mandarin, Wenlin would be a good choice. To receive the special price, use the discount code CCMS2015. What on earth is going on over at Google? Just last week I had nothing but love for Google Maps because it had finally made some important improvements to its maps of Taiwan. But just a few days later Google went and screwed up its maps again. The names of most of Taipei’s MRT stations are now written incorrectly. In most cases, this is merely a matter of form, with capitalization — and the important designation of MRT — missing. But in more than just a few instances some astonishing typos have been introduced. What’s especially puzzling and irksome about this is that in most of these cases Google Maps swapped good information for bad. As Meow said, Jiannan is written Jianan, and Gangqian is written Ganggian. What’s more, Dazhi is written Dachi, and Xihu is written His-Hu (Cupertino effect?). There are now many such errors. Here’s a screenshot taken last week. And here’s the same place today. As you can see, one of the instances of Jieyunsongjiangnanjing has been removed, which is good. But that’s the end of the good news. Another Jieyunsongjiangnanjing remains. And the one that was removed was replaced by Songjian nanjing station, with Songjiang misspelled and Nanjing and Station erroneously in lower case. And “MRT” is missing too. Here are some more examples of recently introduced errors. The westernmost station on the blue line is now labeled Tongning. The pain! The pain! It should be Yongning, which is also visible. In perhaps the oddest example, Qili’an, which has been miswritten Qilian for years, has been redesignated Chlian. Above we saw Gangqian written incorrectly as Ganggian and Minquan written incorrectly as Minguan. Here’s another example of a q being turned into a g: Banqiao has become Bangiao. Even the train station, which is a different rail system than the MRT, has been affected. But the High Speed Rail Station name remains in Tongyong Pinyin, which I most certainly disapprove of but which at least represents the current state of signage in the HSR system. Sloppy work, Google. Very sloppy. How could this have happened? Google has taken another major step toward making Google Translate‘s Pinyin converter decent. Finally, apostrophes. Also, the -men suffix is now solid with words (e.g., 朋友們 –> péngyoumen and 孩子們 –> háizimen). This is a small thing but nonetheless welcome. The most significant remaining fundamental problem is the capitalization and parsing of proper nouns. On the other hand, Google is starting to deal with “le”, with it being appended to verbs. This is a relatively tricky thing to get right, so I’m not surprised Google doesn’t have the details down yet. So there’s still a lot of work to be done. But at least progress is being made in areas of fundamental importance. I’m heartened by the progress. The program Key, which offers probably the best support for Hanyu Pinyin of any software and thus deserves praise for this alone, has just come out with an update with even more Pinyin features: Key 5.2 (build: August 21, 2011 — earlier builds of 5.2 do not offer all the latest features). Those of you who already have the program should get the update, as it’s free. But note that if you update from the site, the installer will ask you to uninstall your current version prior to putting in the update, so make sure you have your validation code handy or you’ll end up with no version at all. Hanzi-with-Pinyin horizontal layout gets preserved when copied into MS Word documents (RT setting), as well as in .html and .pdf files created from such documents. Pinyin Proofing (PP) assistance: with pinyin text displayed, pressing the PP button on the toolbar will colour the background of ambiguous pinyin passages blue; right-clicking on such a blue-background pinyin passage will display the available options. Copy Special: a highlighted Chinese character passage can be copied & pasted automatically in various permutations. Improved number-measureword system: it now works with Chinese-character, pinyin and Arabic numerals. Showing different tones through coloured characters (Language menu under Preferences). Chengyu (fixed four character expression) spacing logic: automatic spacing according to the pinyin standard (Language menu under Preferences). Option to show tone sandhi on grey background (Language menu under Preferences). Full support of standard pinyin orthography in capitalization and spacing. Some programs, such as Popup Chinese’s “Chinese converter,” will take Chinese characters and then produce pinyin-annotated versions, with the Pinyin appearing on mouseover. Key, however, offers something extra: the ability to produce Hanzi-annotated orthographically correct Pinyin texts (i.e,, the reverse of the above). If you have a text in Key in Chinese characters, all you have to do is go to File --> Export to get Key to save your text in HTML format. Here’s a sample of what this looks like. Basically, this is a “digraphia export” feature — terrific! Let’s say, though, that you want a document with properly word-parsed interlinear Hanzi and Pinyin. Key will do this too. To do this, a input a Hanzi text in Key, then highlight the text (CTRL + A) and choose Format --> Hanzi with Pinyin / Kanji-Kana with Romaji. This can be extremely useful for those authoring teaching materials. I’m back from abroad now and starting to catch up on this and that. So here’s another post for you Mac users. QIM, a popular pinyin-based Hanzi-input method, has become freeware. It was formerly US$20. Those of you who, unlike me, own an iPhone, an iPad, or an iPod Touch may find the new Pinyin Typist Mac application of use. Taffy of Tailingua had a look at this for me. I’ve had a play with the Pinyin application and I’m generally quite positive about it. It’s clean, unfussy, and gets the job done. The automatic positioning looks to be flawless (i.e. typing zhuang1 gives you zhu?ng, not zh?ang)…. Overall though I like it, as it does what it set out to do without any showboating or unnecessary steps (excepting apostrophes). Although I wish the apostrophe and hyphen were right there on the main screen instead of on a secondary one, the program allows people to do what they need to do: type Pinyin with tone marks. It sells for US$3.99 US$2.99.